Twenty One years ago today, an F1 legend who was an exponent of the Argentinian Tango on 4 wheels died. The romantics amongst us now envision Juan Manuel Fangio, racing against Senna and Clark on the greatest circuit this world has never seen. The man who was known as “El Maestro” was born 24th June 1911, to Italian immigrants who had settled in Balcarce, a small town south of Buenos Aires. His early racing career was in cross-country marathons in South America, but in 1948, a number of European racers went to compete in Argentina. Jean-Pierre Wimille was so impressed by this humble Argentine that his words prompted the Argentine government to sponsor Fangio for some races in Europe. His first Grand Prix was the 1948 French GP at Reims. He qualified his Simca Gordini 11th but retired during the race. 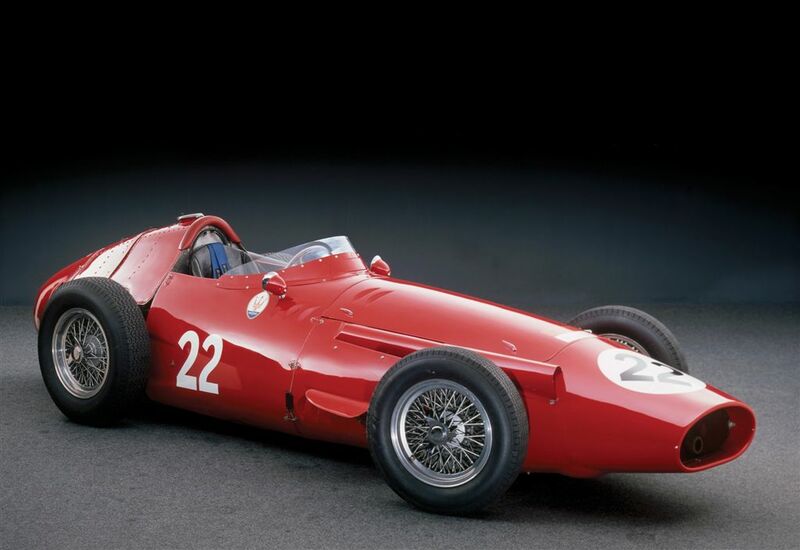 In 1949 he entered a further six GP’s racing a Maserati 4CLT and won four of them against top level competition. For the inaugural F1 Championship, Fangio was taken on by Alfa Romeo alongside Farina and Fagioli. The Alfettas proved dominant and Fangio won each of the three races he completed, but Farina also won 3 races and finished fourth in another, thus becoming the first ever F1 World Champion. In 1951, Fangio won in Switzerland, France and Spain. With additional second places in Britain and Germany, he secured his 1st World Championship by 6 points from Ascari. 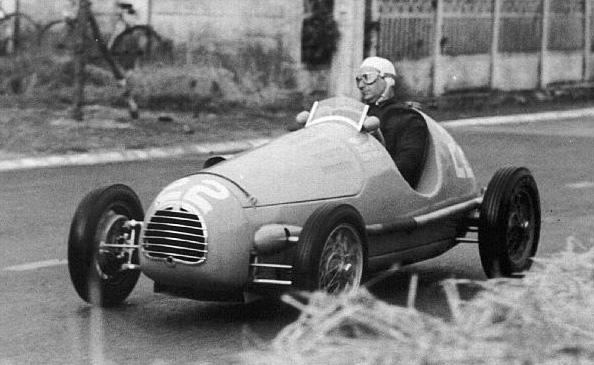 The change of regulations to F2 for 1952, left Fangio without a car as Alfa Romeo had withdrawn. He was absent from F1 until June and then competed for BRM at Albi and Dundrod. Having missed a connecting flight, he drove from Paris to Monza throughout the night, to compete in a non-championship race with Maserati. Fatigued, he lost control on the second lap, was thrown from the car and suffered multiple injuries including a broken neck. He returned fully fit for the start of the 1953 season, once again using a Maserati, but against the dominant Ferraris could only finish second overall. In 1954, he began the year with a Maserati 250F, winning in Argentina and Belgium before switching to Mercedes for the French GP. He won in France, Germany, Switzerland and Italy, securing his 2nd World Championship. 1955 was more Fangio dominance, this time teamed up against the 25 year old Stirling Moss. Winning in Argentine, Belgium, Holland and Italy secured his 3rd Championship. In the aftermath of the disaster at Le Mans, Mercedes withdrew from International motorsport and Fangio switched to the Ferrari squad for 1956. Although he enjoyed success, winning in Argentina, Britain and Germany and taking his Championship score to 4, his relationship with Enzo Ferrari was fractious and he left the team at the end of the year. In 1957, he returned to the Maserati 250F which he had campaigned in early 1954. He won the Argentine, Monaco and French GP’s and won the German GP to secure both his final GP victory and his 5th World Championship. He retired in 1958 following the French GP. He was held in such high esteem that Hawthorn, who won the French race, slowed before the finish line to allow Fangio to uncap himself and complete the full race distance. His success in F1 is unquestionable, but there has always been a nagging doubt over his sporting ethics. He was remorseless when switching teams, and whilst a quiet humble human being out of the car, he had a killer instinct behind the wheel, a trait of all winners. Did his experience with Alfa Romeo in 1952 colour his views of the manufacturers when he was left without a car to defend his championship? He was without doubt the yardstick by which others judged themselves, yet I remember Denis Jenkinson writing about the greatest drivers of all time. He only had a Top 5, and they were Ascari, Moss, Clark, Villeneuve and Senna. Was this because Fangio never enjoyed the success in Sportscar racing that his contemporaries did? It seems odd that Fangio, who raced saloons in Argentina, asked Mercedes to remove the slip-streamer bodywork from the W196 in 1954, as he was more accurate when he could see the wheels. Maybe the calibre of Argentinian competition wasn’t high enough that he was extended in those races. Possibly, only the true greats can recognise mastery, and everyone else is an opinionated observer. After all, Moss called Fangio, “the greatest ever”. And Senna? He worshipped Fangio. Maybe the account Senna gave of his 1988 Monaco qualifying was more eloquent than Fangio’s, who never spoke English or may not have had same level of education, but the parallels are fascinating. The 1957 German GP at the Nurburgring. Fangio had qualified 3 seconds faster than the Ferraris. He built up a 30 second lead before making a planned pitstop, which went wrong. He resumed 50 seconds behind the Ferraris with 10 laps remaining. Initially he made no impression, but with 7 laps to go, he began lapping 15 seconds faster than the old lap record. He set a new lap record, more than eight seconds faster than his pole lap and swept by to victory. Fangio: “That day I had everything turned on and firing on all cylinders,‘ he recalled. ‘I was ready to do anything. When it was all over, I was convinced that I would never be able to drive like that again, never. I had reached my final limit of concentration, and will to win. I was trying out new things during those last laps of the race, pushing myself further at many blind spots where I had never before had the courage to go to the limit. On that day, I made such demands on myself that I couldn’t sleep for two days afterwards. I was in such a state that whenever I shut my eyes it was as if I was in-the race again, making those leaps in the dark on those curves where I had never before had the courage to push things so far. Schumacher fan here… but for mine, I’ve always felt Fangio was the G.O.A.T.